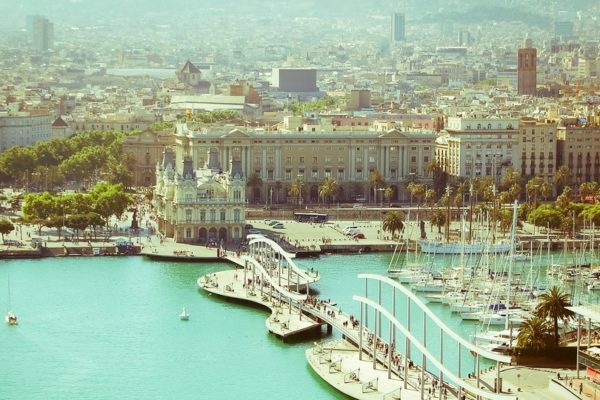 Barcelona is unique due to its geographical location,. The city lies on a plateau, which on one side is washed by the waves of the Mediterranean Sea, and on the other rests on the Collserola mountain. 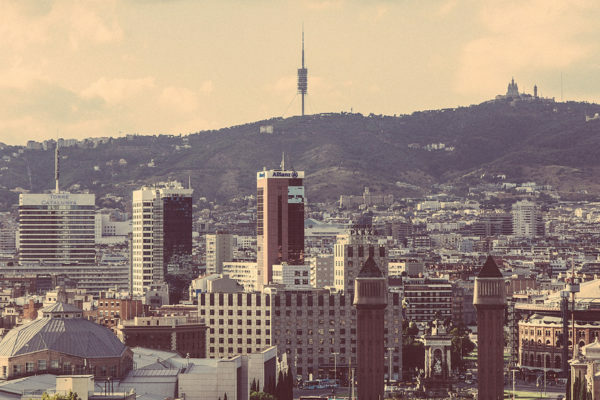 From the east and west of Barcelona area is limited by rivers Besos and Llobregat. 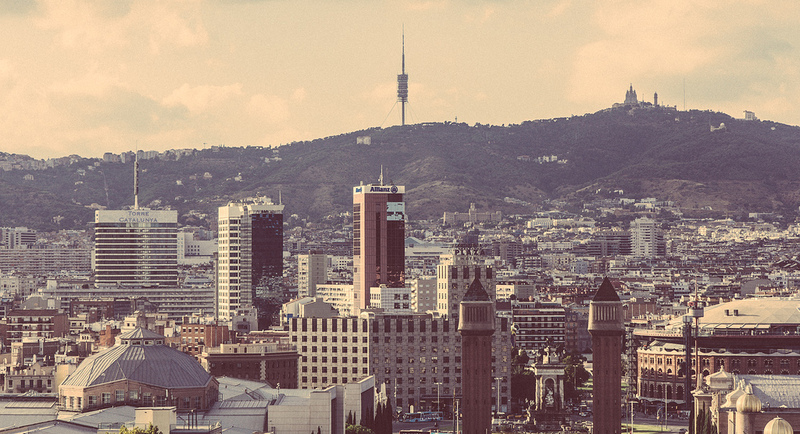 The presence of the mountains around Barcelona gives you the opportunity to admire the beauty of its dominant. 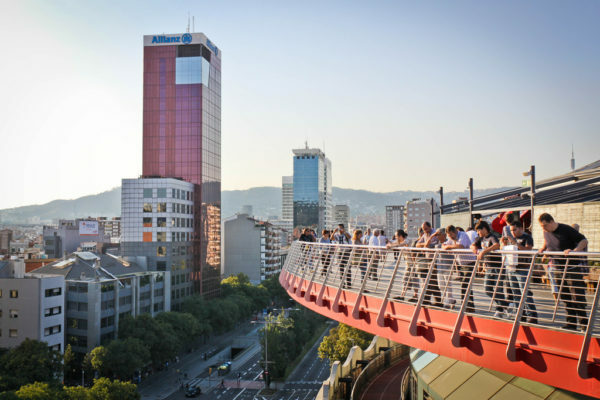 Within the city there are plenty of viewing platforms, offering stunning views. 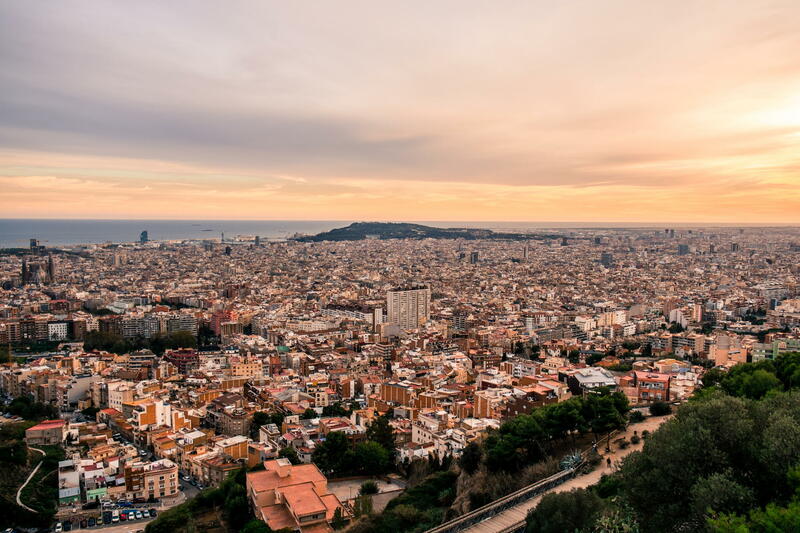 Gather delicious "bokadilos" with jamon, buy a bottle of wine and go to open the highest point of Barcelona, where so nice to enjoy the sunsets over the beloved city with a bird's-eye view. 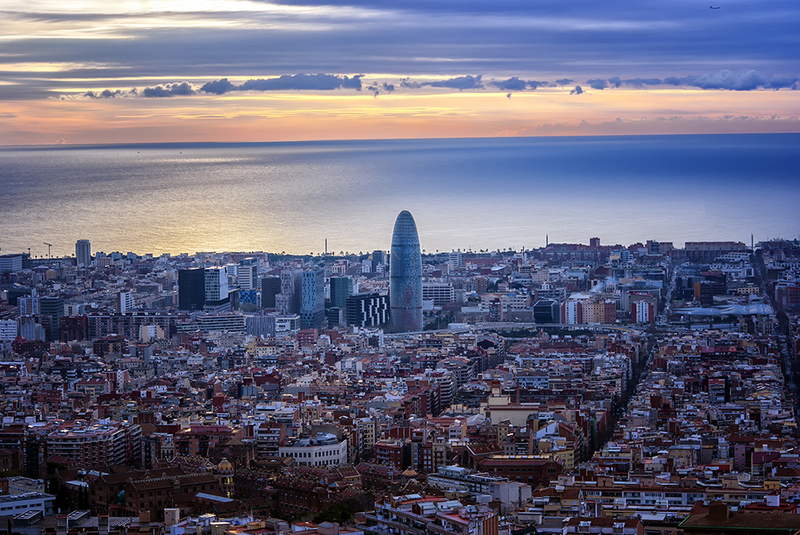 Below we describe the most beautiful panoramic points of Barcelona. 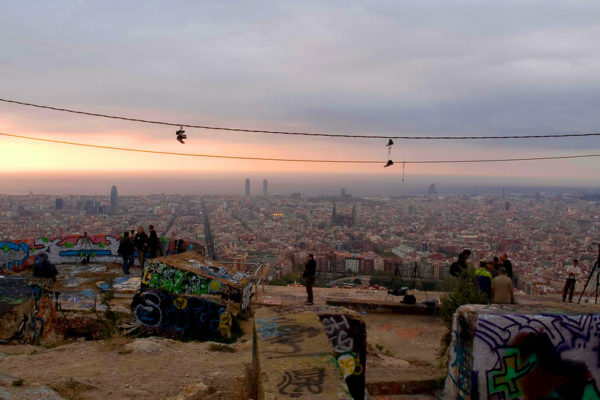 It is a mountain of Montjuïc, Tibidabo mountain and a little familiar to tourists abandoned military bunker Rovira near Carmel. 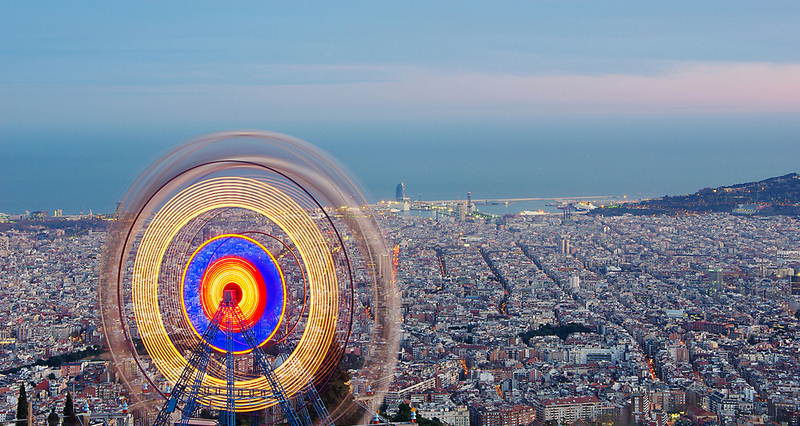 Admire Barcelona from a height, what could be better? 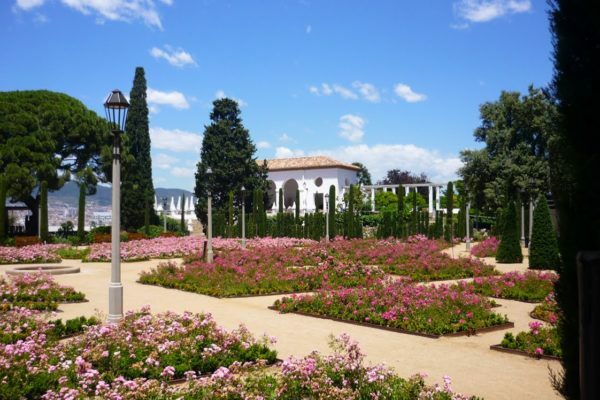 Of course, do it in a beautiful place with pleasant music, with a glass of aromatic wine and delicious snacks. 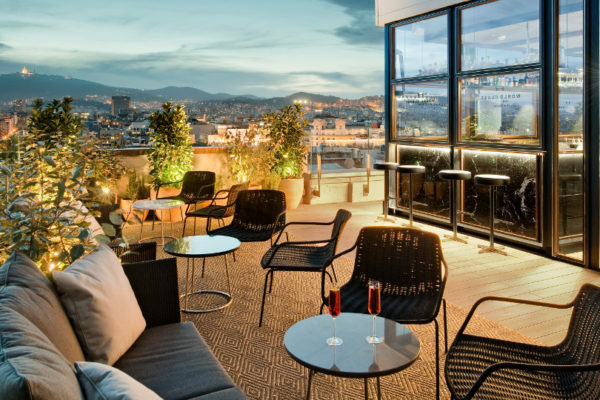 Almost every hotel in Barcelona has a roof terrace, where the bar, Open to all comers. 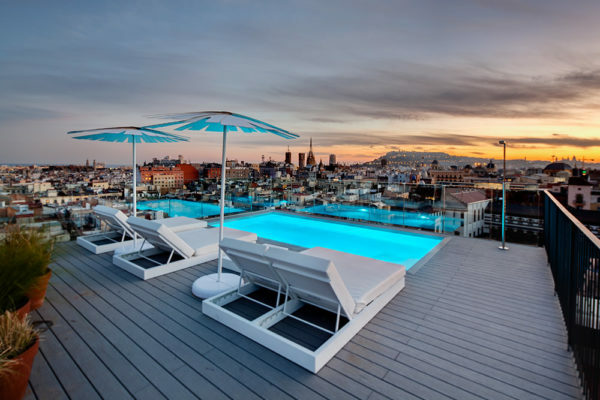 We advise you to visit Calderon hotel terrace just a step away from Plaza Catalunya. 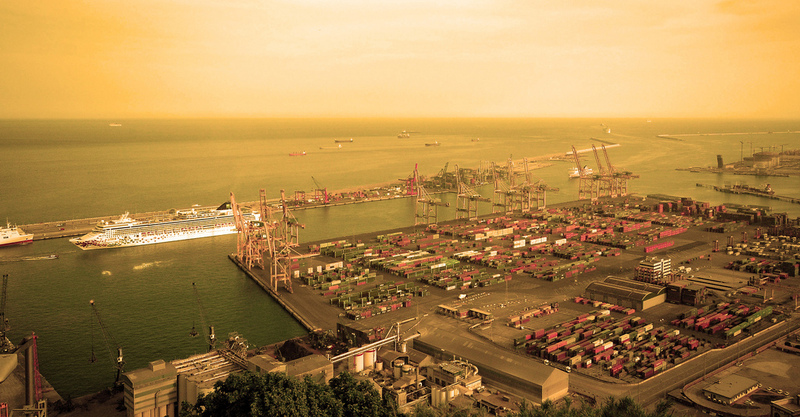 Come lounge, take the elevator and press the button 11. 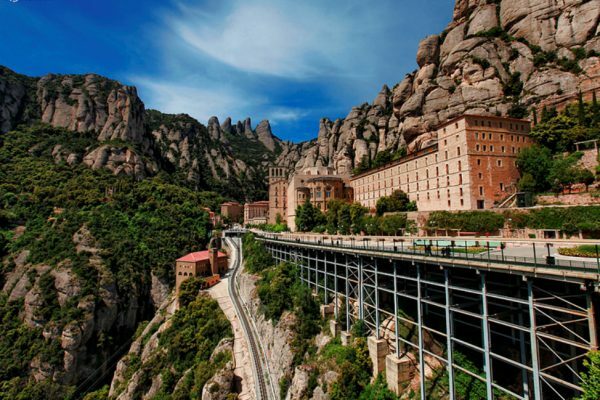 We are pleased to offer an exciting trip to the countryside of Catalonia forces the main place, mountain and monastery of Montserrat. 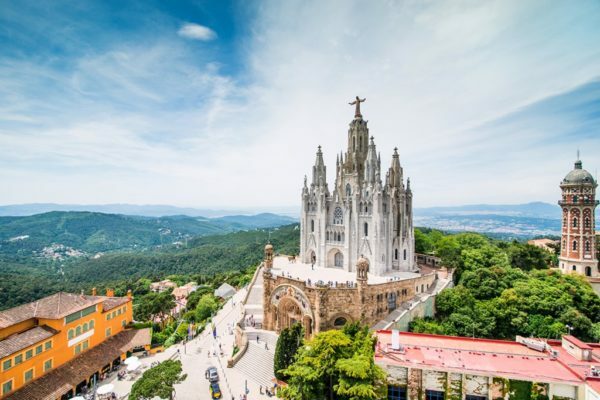 For almost a thousand years, pilgrims from all over the world come here, to energize this place, take a walk in the mountains, listen to a choir of boys and make a fondest wish of the Black Virgin Mary. 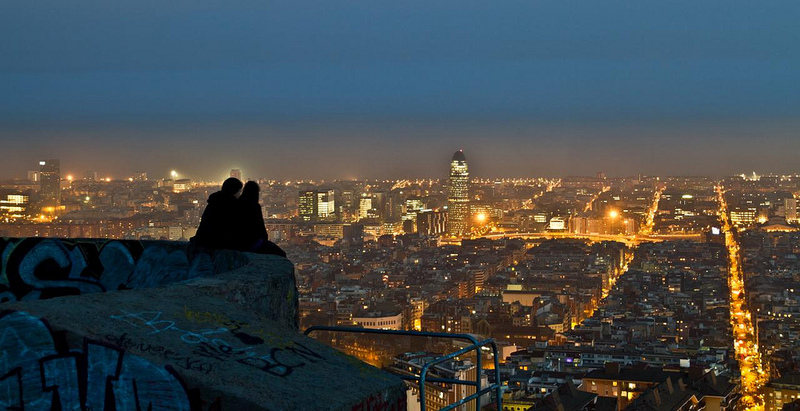 In Barcelona, ​​a huge number of hotels, most of which have open to visitors terrace with city views. 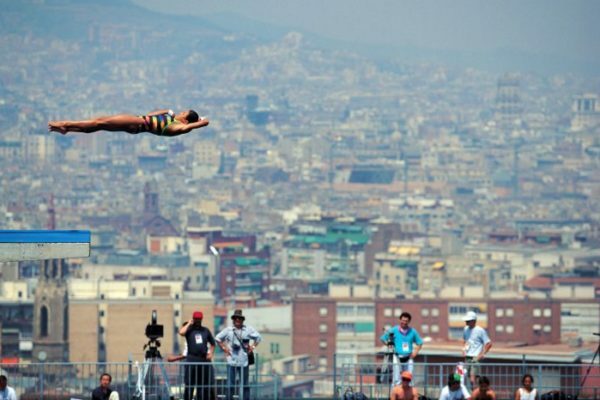 Not have to be a tenant of the hotel, to climb them. 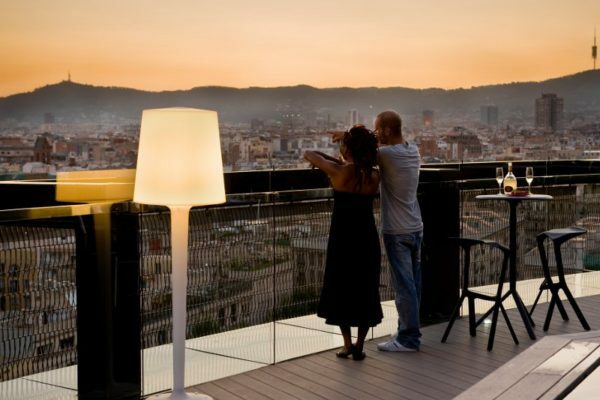 A great holiday option on a hot night - climb to the roof, order a glass of cava and watch the sunset over Barcelona.